The new Eucharist prepared bt the Church in Wales contains the full text of the service and many alternative texts for seasonal variation are included in a series of appendices. These include alternative forms of opening sentences, intercessions, prayers over the gifts, Eucharistic prayers, final blessings and more. Fully bilingual throughout, with the Welsh text on the left hand page and the corresponding English text on the facing page. 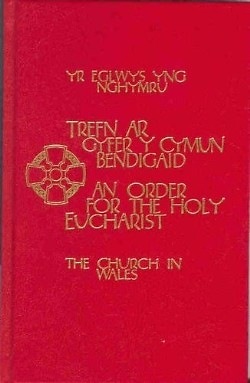 The text has been prepared by the Church in Wales Liturgy Committee and is fully authorised for use in all its parishes.